We’ve been busy with so many projects that we haven’t had a chance to update our News pages since October last year! So we’re going to update you with what’s been going on over the next few weeks. 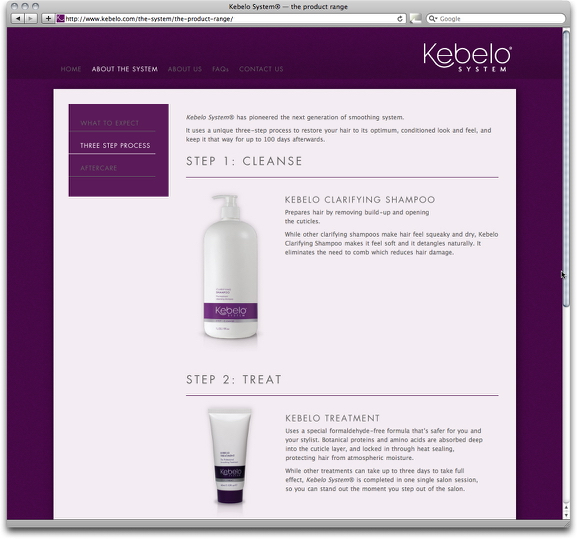 Firstly we’ve designed and launched two new web sites and added them to our portfolio. 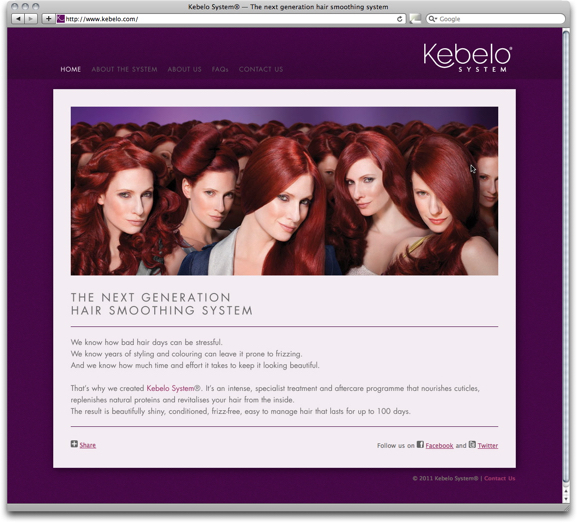 Kebelo System is a new in-salon hair smoothing system and we’ve been designing a plethora of training and marketing material for them, more details of which to follow soon. 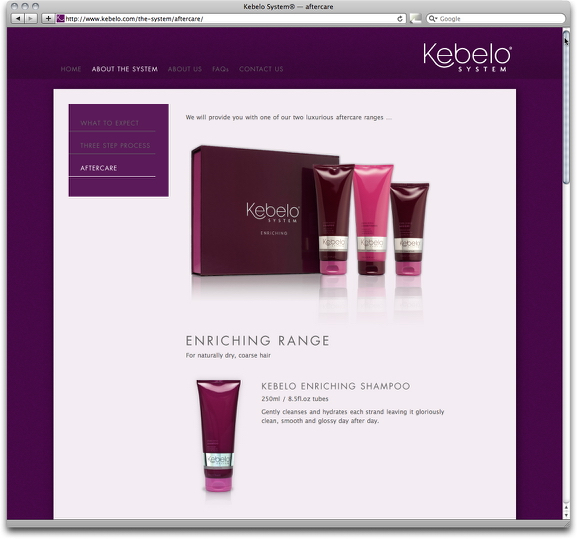 They needed a stylish and un-fussy web site to complement their new brand. 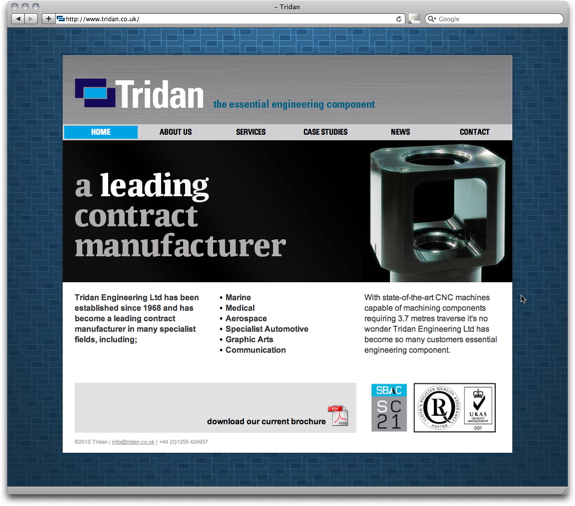 Tridan are a contract manufacturer for whom we have previously designed marketing material. 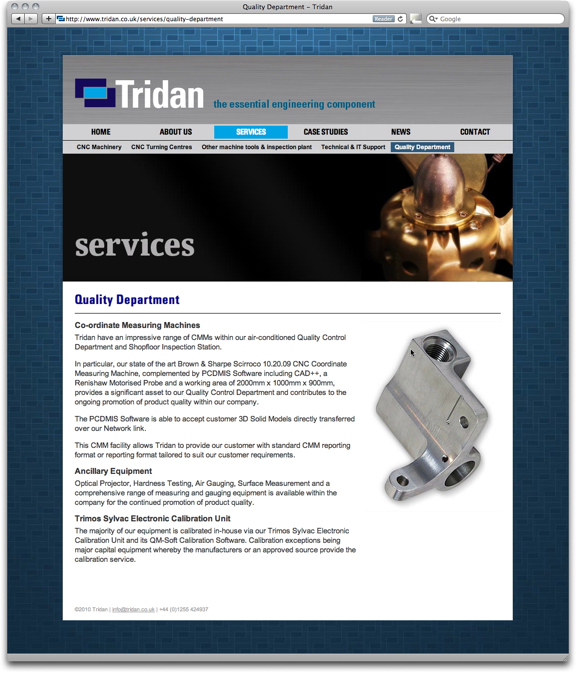 We redesigned their existing site, to fit in with their new brochure, built to be fully editable by the client via an online CMS (Content Management System).